Welcome to the future of valuation! It's all right here - forms, rules, data, maps, floorplans, and delivery - everything you need to create reports in the Cloud. The best use case for Sky is the flexibility to work from your home, office, hotel or where you may be without skipping a beat. It's also the only appraisal solution to work well on a Mac without Parallels or a virtual Windows operating system. Just launch your favorite web browser, log in, and off you go! ACI Sky works on the latest devices with a browser and Internet connection. Mac, Windows, tablets and smart phones are all supported. 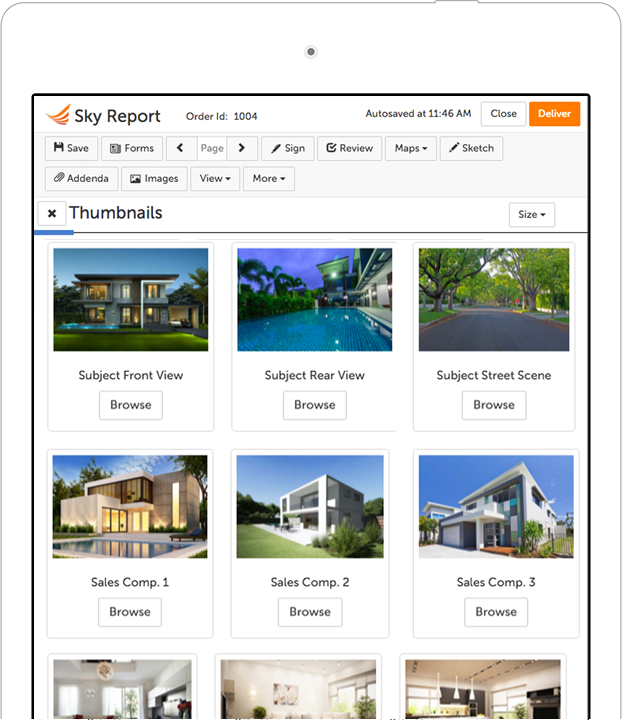 Create full reports on the web with tools for sketching, location and flood mapping,review, and MISMO XML delivery. We added UAD pop-ups and an addendum writer fail safe, secure, and password protected. ACI Sky is updated automatically, so you're always on the latest and greatest. 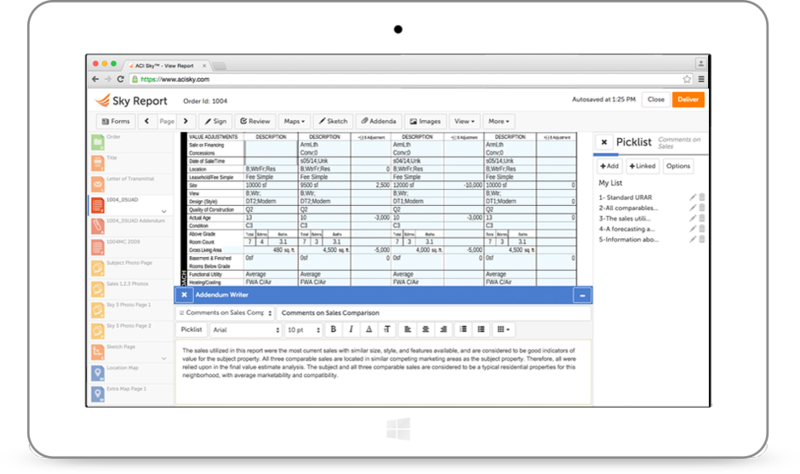 You can also import ACI, MISMO XML, and PDF files so your old reports are accessible too. Sharing data with your team has never been easier. © 2019 ACI. All Rights Reserved. ACI is a member of the First American Family of Companies. ACI makes no express or implied warranty respecting the information presented and assumes no responsibility for errors or omissions. First American and the eagle logo are registered trademarks of First American Financial Corporation and/or its affiliates. It's great to have friends in high places.